How’s everyone’s November going? Looks like it’s my turn to spread around some good ol’ fashioned UVSS Board propaganda. Campaigns always has a lot on the go but this November has been a doozy. Your new Peer Support Center is doing absolutely fabulous. I’ve been sneaking down to the space during my lunch to steal cookies. The space keeps looking nicer and nicer — we have a mini bonsai in there now! As well, the opening of our Friday Wellness Space programming (shout out to the Office of Student Life for $$$$ and support) has been super exciting. We have a crochet workshop in there tomorrow…PLUS next month is a macrame workshop. Pretty sure I can make something to decorate my office with. “Tangled string on a wall” = my new #aesthetic. Our first Safer Use workshop went great too. Annie Lucas (RN(C), BscN) is just the Nicest Person and we ended up having about 15 people attend. At 2:30 on a Tuesday. I’m impressed folks. Everyone walked away with Naloxone kits and free oreos, booyah. We have round 2 scheduled for the 3rd at 3:30 in the Upper Lounge Boardroom. 😉👉👉 Plus a talk about cannabis use during midterm season…5:30-7 on the 4th, same place. Rent with Rights has been busy as well- I’m trying to type up a press release right now following the announcement last week about the new UVic Residence. I think it’s great news that we’ll be getting a net increase of 620 beds on campus. But that also means that now’s a great time to highlight some of the issues that students living on campus face…ie. not having tenancy rights. I’m starting to run out of space so I guess I’ll just quickly mention that THANKS TO THE WONDERFUL PEOPLE WHO FILLED OUT THE UVSS SURVEY it looks like we’ll be able to get a opt-in summer bus pass. BC Transit just said that they’re not bringing any new agenda items onto the commission’s agenda in December due to current vacancies in the commission…so it’s on February’s agenda, which means the logistics may not be finished for this summer. But I’ll continue to try to push it forward as quickly as possible! Thanks for reading my rambling and I look forward to talking to you folks (especially at Mental Health Awareness Week!). No one’s ever surprised by the lack of engagement in UVSS elections. You can find Martlet articles dating back to the sixties talking about student apathy and a general distaste for student politics. One aspect of apathy is the consistent lack of candidates running from different faculties and areas of campus. While certain groups like Human and Social Development, Law, Education, and Fine Arts haven’t sent a Director to the Board in a few years, 29% of students on campus are in the Social Sciences, but generally make up around 70% of the Directors elected. The result is that the students most often asked to vote, given classroom talks, and otherwise participate in elections only come from a narrow slice of campus and won’t always understand what other parts of the student body want from their student society. 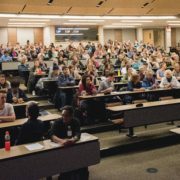 The proposed solution up for debate at the UVSS Annual General Meeting (AGM) is to create Director seats on the Board that are tied to faculty in order to ensure that every faculty can bring their perspective to the Board. Focusing on the AGM proposal more specifically, the model reflects the composition for students on the UVic Senate; 1 director per faculty, and 5 at-large directors. It’s a common model which you can see at other student unions like the UBC Alma Mater Society and Simon Fraser Student Society. The five at-large seats allow undeclared students to run, as well as providing room on the Board to allow candidates who might not have won their faculty seats, but still received high vote totals overall to also be elected. There’s a few nagging doubts some people might have about the proposal. Often, UVic Senate student seats in certain faculties don’t have students run for them, or have students acclaimed. Some people could attribute this to the faculty model; however, I would point to a lack of advertisement and disengagement from those elections. Voter turnout for Senate elections is poor even compared to the 15-20% turnout for UVSS elections with just 6% turnout last election. With a higher profile and overall better advertisement, I would expect most if not all positions to have multiple candidates running in them. 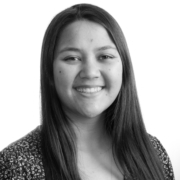 Wouldn’t it make sense for Poli-Sci students to do Student Politics? Well not quite, on the face of it the UVSS may seem to be focused on campaigning for student issues, but that’s only the tip of the iceberg. We manage the Health & Dental Plan for 12,000 students, several businesses, over 200 employees (the majority of which are students), clubs, course unions, and to a lesser extent several affiliated groups, advocacy groups, and Professional Development Unions. Even campaigns can often change from year to year depending on the perspectives on the Board. It’s a lot of responsibility and I wouldn’t think that an understanding of international political theory would help in any of that. Governance reform is long, dry, and often boring. I can’t summarize everything here, but I hope to have piqued your interest enough to come, ask questions, and vote on Faculty Representation the 11th of October at 2:30pm in Vertigo. One of the most interesting proposed motions for this year’s UVSS Annual General Meeting speaks to students’ desires for electoral reform in the UVSS; faculty representation. 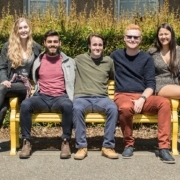 Among student unions in Canada, UVSS stands apart: flat executive hierarchy with no President or Vice-Presidents, an operational versus governance board that is more adaptable than large councils, and every director position open to students regardless of faculty, department, or academic year. First, this change would add unnecessary complexity to elections at the UVSS. Students are already disinterested in elections and UVSS activities and this would only exacerbate the problem. Undeclared students would be limited to fewer positions and the votes of advocacy group representatives on the board, of which there are five, would be diluted by the expansion of its voting members. There’s also the potential that these positions might undermine the respective course union and Professional Development Union executives within the faculties who already advocate for students in their departments and faculties. Faculties such as Law, Education, and Engineering prepare students for specific professional degrees and have stricter requirements for their programs. Co-ops and difficult classes with full workloads limit students in these faculties from participation in UVSS elections and Board governance. 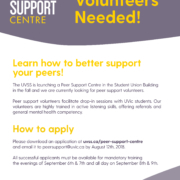 The number of students that are willing and able to volunteer their time with the UVSS from these faculties would likely be much lower than a large faculty such as Social Science, which could lead to only one candidate running. This ties in with what is probably the largest issue with faculty representation: the potential for overrepresentation and underrepresentation. Social Science is by far the largest faculty with nearly 30% of undergraduate students. Next up are Engineering and Science with 16% each. On the other end, Law is the smallest with only 2% of students. Education and Fine Arts are not that much larger with 6% of undergraduate students each. The resolution on the agenda for the AGM would give each of the nine faculties the same number of dedicated seats (just one) regardless of size. Governance is currently set up so that no student would be barred from running, as perhaps it would be valuable to have a Law student on the Board; however, the proposed resolution would limit the field of candidates and restrict eligible positions. When it comes down to it, it’s up to students, as UVSS members, to decide how they want to choose how to be represented in the governance structure of the UVSS. This is one of many options for electoral reform so come out on October 11th, 2:30pm in Vertigo to the AGM have your voice heard! Knock knock? Who’s there?…Boo… Boo Who? Don’t cry! I know summer is over, but Club and Course Union Days is coming up! It has been a bustling summer around the office. From handbooks to strategic plans, we’ve done it all. 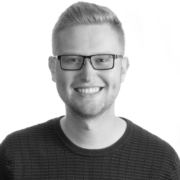 The most exciting perhaps have been the changes made to Clubs and Course Union policy, as well as the club initiatives that are being launched. Clubs and Course Unions have had small policy rewrites. Nothing too drastic: just some clarification on ratification and room bookings. Incredibly, clubs and course unions can now hold fundraisers with paid tickets in the Student Union Building. Both councils have been well attended; a trend I hope to continue throughout the year! As of this year, cheque requests can be emailed to me, instead of having to walk them over to the info booth. A new way for clubs and course unions to cheque account balances will hopefully be rolled out in November! This fall the first Clubs Council (September 10th at 3pm) and Course Union Council (September 12th at 4pm), both in Cinecenta, will be using a new ratification technique and this will hopefully save some time. I’ll also be debuting a thought provoking slide show. Clubs and Course Union Days was a success with hundreds of people pouring in through the halls. Missed out? It’s okay, a list of Clubs and Course Unions are on the uvss.ca website, send an email to them and you can still be a member! The Student Union Building also has 5 advocacy groups! The Feminist Collective, Society of Students with Disabilities, Students of Colour Collective, Pride and Native Student Union. All are wonderful groups, and a great opportunity to get involved! If you have any questions concerning clubs, course unions, or advocacy feel free to stop by my office any time the door is open, or email affairs@uvss.ca. Check out the application form here. https://uvss.ca/wp-content/uploads/2018/07/PS_LTR_v3_POSTER.jpg 3375 2625 UVSSSuperadmin https://uvss.ca/wp-content/uploads/2016/08/uvss-logo.gif UVSSSuperadmin2018-07-27 16:13:582018-07-27 16:14:45Come volunteer with us! What’s the Board of Directors been up to this month? Well, even with a few board members on vacation, I’ve been hard at work on two important projects during the summer: strategic planning and annual budgeting. In early June, the board went off-campus to brainstorm new initiatives for this upcoming board year and our multi-year plans. We’ve divided our strategic plan into eight sections: Communications & Marketing, Student Engagement, Campaigns, Events, Board Governance & Elections, Finance & Operations, SUB Business Development, and Human Resources. Our first draft is over 30-pages, so this is a comprehensive deep dive into our goals for the next year and we hope to achieve as many of them as possible. This document will be available online starting in August, and we’re considering designing a shorter, reader-friendly version as well! Budgeting for the next year has just started. Our accounting department, which was short-staffed for a few months, has caught up, so we now have a clearer picture of our spending from last year. I’m happy to say that we exceeded expectations and will end the year with a slightly larger surplus than we budgeted for. Over the next month, while our yearly audit is going on, I’ll be working with the other Lead Directors and our excluded managers to put together the budget for the next fiscal year. Our goal will be an even larger surplus so we can continue paying down our existing accumulated debts. Finally, keep your eyes open for information on our new Health & Dental Plan which starts on September 1st. Beginning this year, students will be automatically enrolled in our Enhanced Health & Dental Plan and will have the option of opting down to the Basic Health & Dental Plan during the Change-of-Coverage Period from August 22nd to September 22nd. The Enhanced Plan offers higher coverage at a higher cost ($360) while the Basic Plan offers lower coverage at a lower cost ($290). Students also have the option to mix and match plans, or opt out if they have proof of alternate coverage. For more details check out our website, or head over to studentcare.ca. 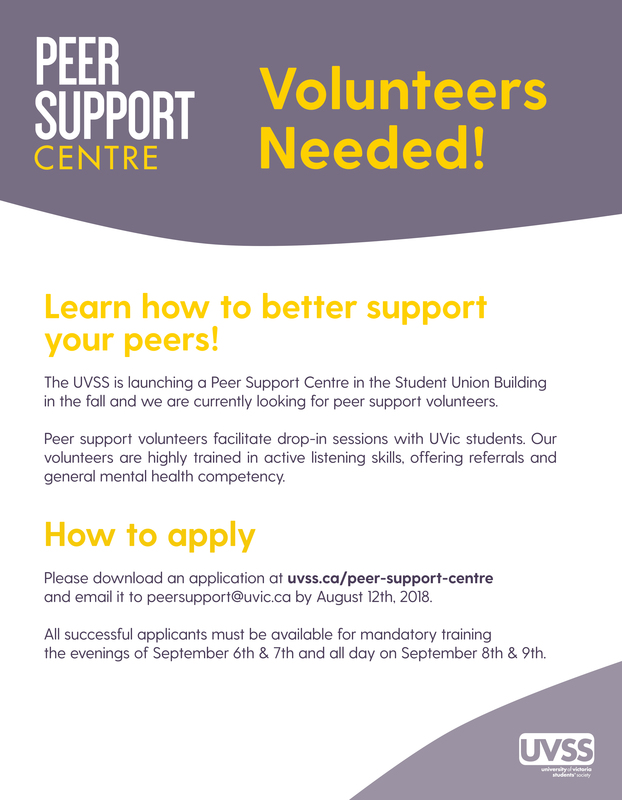 If you have any questions, please don’t hesitate to send me an email at finance@uvss.ca or drop by my office in the SUB (B103g, opposite Munchie Bar). I don’t see the sun all day, but visits from our members are the next closest thing! Have an awesome summer, and I look forward to seeing everyone next year! Welcome to a new board term, complete with new goals! Starting this month, we’re launching monthly updates from the Board of Directors, straight to your screen! We have an incredibly exciting year ahead of us, as we’ll be launching plenty of new initiatives such as a Student Advocate position, as well as revitalizing old initiatives like Clash of Clubs (a debate among campus political clubs). Before the UVSS is able to run all of our campaigns, events, and other fun stuff, we have to get down to the nitty gritty of training and planning. Currently the board is working on our strategic plan for the next two years of the society. Without a plan, we would have no direction, and most importantly, we’d have nothing to hold ourselves accountable to. Expect to see a neat document coming out soon outlining operational priorities for the society as well as the fun little bits everyone expects! As an incumbent (last year’s Director of Outreach and University Relations), I don’t need as much training; this means I’m already hard at work. For me this has meant: spreadsheets upon spreadsheets, tracking and outlining goals for everyone, doing research on Student Advocate positions, selecting (and eventually ordering) all of our swag for this year, as well as working together with our board, businesses, and graphics team on creating the handbook cover for this year. If you want to get involved with any of these initiatives, just shoot me an email! I would love to hear from you. Now that’s just small recap of what’s happened and what’s to come, I’ve been Pierre-Paul Angelblazer your Director of Outreach and University Relations, signing off. If you’ve got any questions do not hesitate to send them right to me at outreach@uvss.ca. 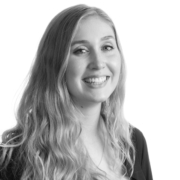 https://uvss.ca/wp-content/uploads/2018/05/2018-2019_BoD_Portraits_Leads_website.jpg 969 1500 UVSSSuperadmin https://uvss.ca/wp-content/uploads/2016/08/uvss-logo.gif UVSSSuperadmin2018-06-11 12:46:522018-06-11 12:48:37Announcing Monthly UVSS Updates! Happy new year! I know, a little late. The start of 2017 has been awesome for UVSS campaigns, and we are excited to let you know what we have been up to! This year we ran the #TextbookBroke campaign for the second time, and although we got less entries, the reach was still amazing. The campaign reached over 40,000 people on social media with over 2000 likes on posts and over 300 shares! Our efforts were featured on the front page of the Saanich News receiving widespread community awareness – even UVic showed us some love with a share on their Facebook page! 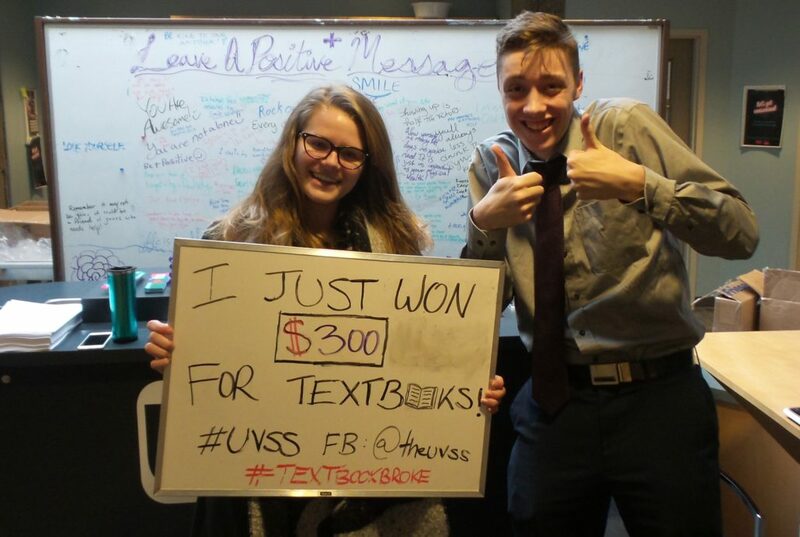 The winner of this year’s contest was Cayra Tansey who spent $500 towards her textbooks. Cayra received 231 likes and 80 shares on her entry. For those hearing about the TextbookBroke campaign for the first time, the campaigns purpose is to bring awareness to the problems in the publishing industry, where students are captive consumers and there is little correlation between product value and price. In addition, the campaign promotes innovative alternatives to expensive publishing resources, such as Open Educational Resources. OER’s, which are produced with government grant funding and open for students online, are set to save students over $100,000 at UVic alone in 2017! This week the UVSS partnered with Student Life to make the Annual Mental Health Awareness Event the biggest to date! 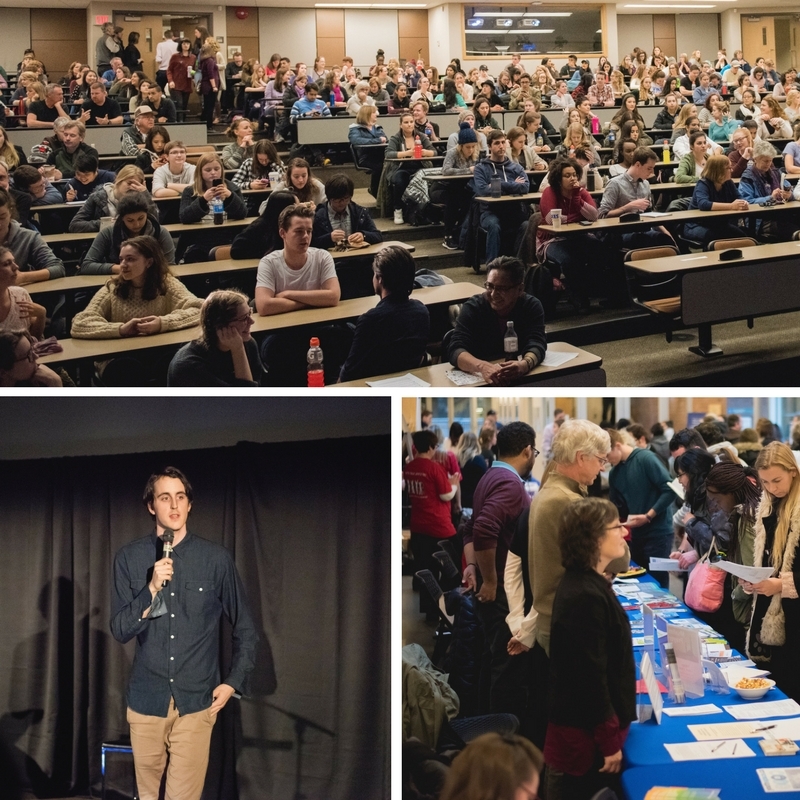 Over 450 students, faculty, staff and community members came out to engage with community groups, hear from the amazing keynote Kevin Breel, and engage is discussion. My favorite part of the event was the student story performance; before Kevin spoke five students got up on stage to bravely share their story, their hardship, and their continued struggle with mental health. This event left me energized to continue our work with the ReThink Mental Health campaign, spreading positive messages and raising awareness of campus resources. In addition to continued outreach for ReThink Mental Health and Let’s Get Consensual,, the UVSS is gearing up to run an exciting new campaign “Count on Our Vote.” This campaign’s purpose is to encourage informed student voting. We are excited to be working in partnership with the Alliance of BC Students, a provincial organization representing over 60,000 post-secondary students. Stay tuned for more info!